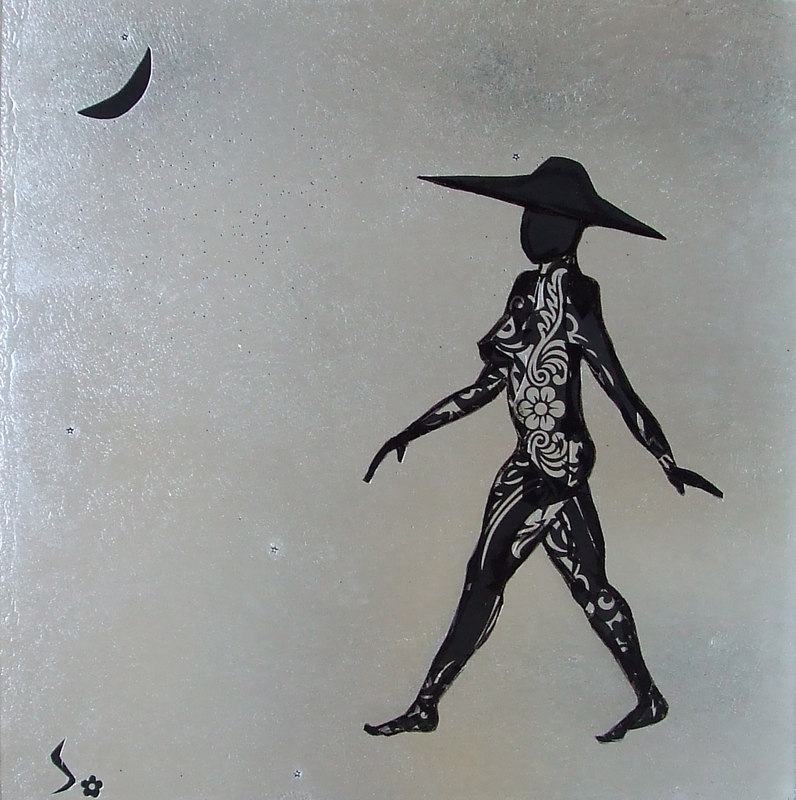 The gait of the woman brings to my mind the image of Gradiva on the bas-relief plaque that once adorned Sigmund Freud’s office in Vienna (and is now on permanent display at the Freud museum in London). The image was popularized in a turn-of-the-century novel written by a German expressionistic writer; Freud read the novel, acquired a copy of the original plaque, and proceeded to immortalize Gradiva by attempting to psychoanalyze the literary creation in a remarkable essay that constitutes a world first. I am tempted to try to do the same with Suparna’s walking woman. This entry was posted in Painting, Poetry. Bookmark the permalink.